Unifold Holdings Pty Ltd. is an Australian owned manufacturer of acoustic dividing partitions and doors. We were tasked with designing a new website and branding for the company. The purpose of their new website was to showcase the range of products as well as increase overall brand awareness. When designing the site we wanted to tell a story that was unique and captured the attention of anyone visiting the site. 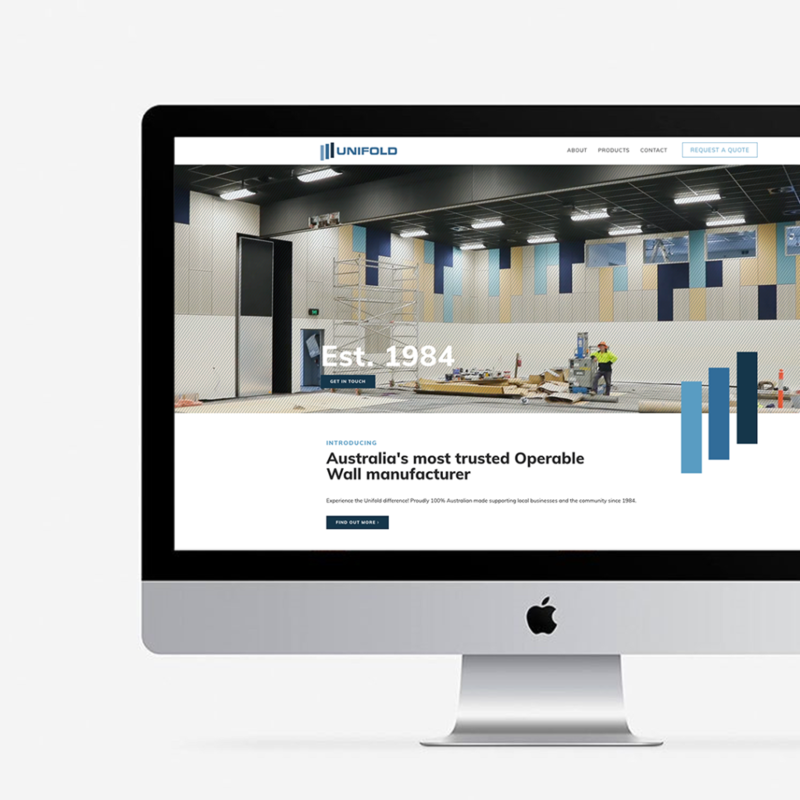 We did this by using a time-lapse video on the homepage showing the Unifold team assembling a large-scale dividing wall for a client. The rebrand that we did for Unifold included creating a new logo, colour palette, brand promise and typography. We also designed a three-panel icon that was representative of the dividing doors. By incorporating the refreshed branding we were able to build a clean and bespoke website that the client was incredibly pleased with. We were also able to design a website that heightened the user experience and displayed Unifold’s product range in a clear, fresh and unique layout.